Hello it looks, as though, I have discovered the “First Law of Cosmology”. Quite, astronomy has made big strides lately. But it is concentrating more on only finding out “What Exists” and “What Happens” in the Universe – giving no particular attention to look into what should be the “Epistemology” of the things being discovered by them. I mean, thereby, the “Reason Aspects”. For instance, it has discovered that the sun heaves upward above the galactic level and also heaves downward below the galactic level while orbiting around the centre of our galaxy. But it looks as if it does not concern them to also look into the reason – what makes it heave upward and downward. It leaves everyone guessing about the reason thereof. No wonder, just like anyone else, I also have been thinking about the reason behind it. Have you ever thought why, at all, it should heave upward and downward, just like me? Though I would not know to what extent I may be right, I don’t mind sharing my mind with all of them who may be curious to know about it. 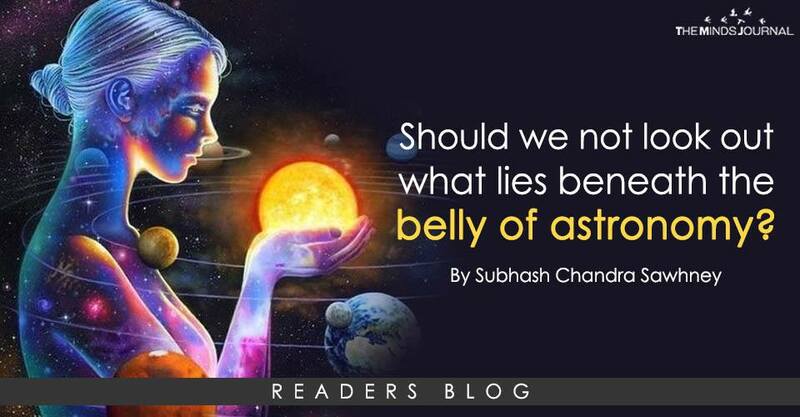 To know that it up-heaves and down-heaves, what is the amplitude of its wavy path and what is its wavelength, what are the major and minor abscissas of the Sun’s orbit and in how much time it takes one round around the centre of the galaxy, constitutes only “Half- baked knowledge” unless we also know the “Reason Aspects”. 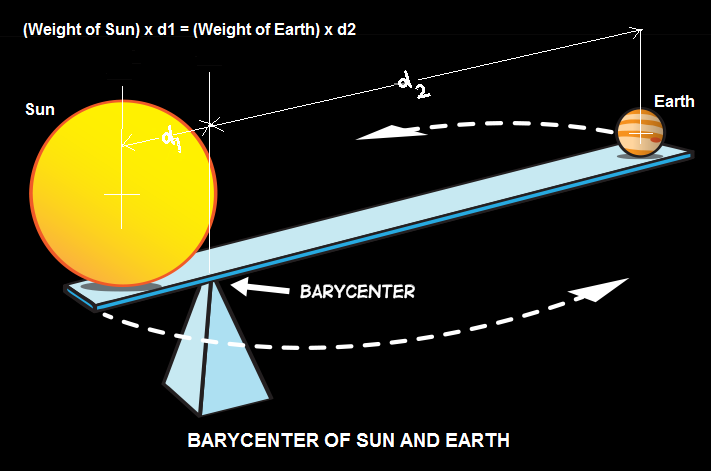 If you are aware of the fact that earth does not revolve around the Sun, it revolves around the “barycenter of the Sun and the earth”, as has been illustrated in the following diagram. Of course, no such plank supports the Sun and the earth as is shown in this diagram. This plank has been shown only to match this concept with the concept of this type of levers. The barycenter resembles what is known as “fulcrum”. The fact is – not just earth since the Sun has as many as nine planets, Sun has nine such barycenters. While each planet revolves around its barycenter, the Sun revolves around all the barycenters – nine of them which accounts for its topsy-turvy movement. The same way, now think of the reason why the around which the earth revolves is not the same as its geographic axis? Just think what sort of life we would have led if the seasons would not have changed on the earth? Though we are aware that seasons change on the earth because its geographical axis is tilted to its axis of rotation, but have we ever also thought why its geographical axis is tilted to its axis of rotation? Do you think – God would have tried to ensure that the axis of the earth got tilted to ensure that we could have had different seasons around the year on the earth or do you think that it had to tilt due the “resultant gravitational force” exerted on the earth by the Sun as well as all other celestial bodies that also revolve around “their barycenters”?